Loss of a passport is an issue of concern to every individual. It may be stolen or get lost due to carelessness on the part of the individual. However, you need to inform the authorities about the loss through the Lost Passport Form. It is an organized format that conveys the message of your loss and specifies your details. 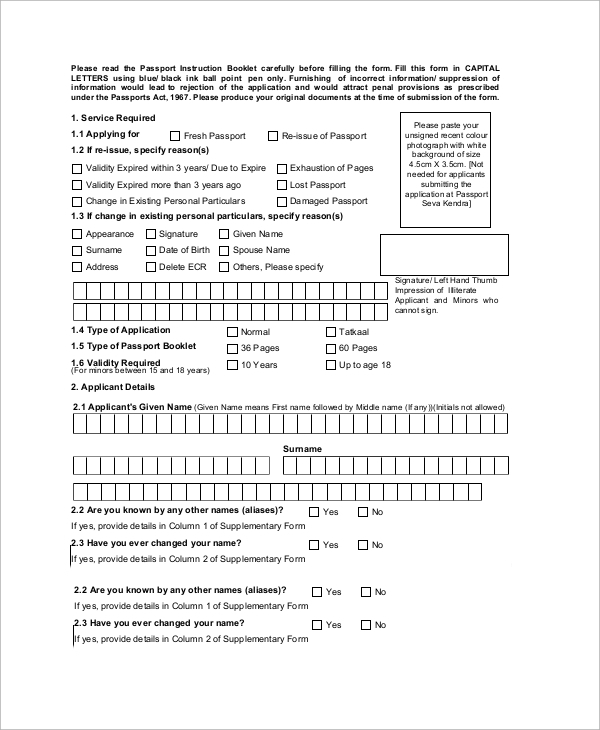 Here are some Sample Forms that you may need in case you have lost your passport. This Application Form starts off with your personal details, file number and your photograph. Then you need to fill up the passport details. There is a brief questionnaire that helps to generate the desired information from the applicant. 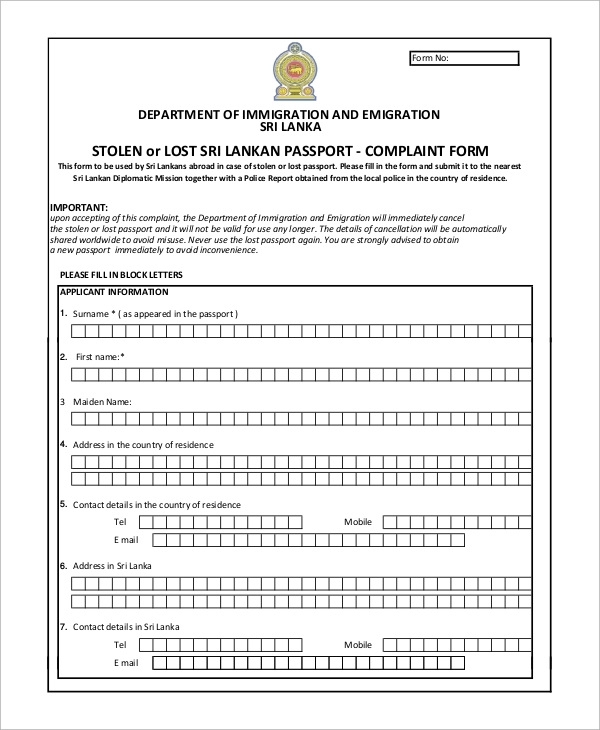 This form deals with the information that explains how and where you lost the passport, or in what situation it was stolen. You need to reveal your personal information and passport details in the template. This form starts off with the details on the passport. The person has to reveal the contact information and the place where the document got lost. The application ends with a declaration and your signature. Why is it Necessary to use the Lost Passport Forms? To make sure that you have not missed out any information about the loss of the document, it is recommended that you should use the form. It is crucial to inform the higher authorities, as a lost passport may land you up in trouble. If the Passport Samples gets stolen, it might be used by others, who pose as you and you might land up in a mess. Apart from this, you may also find it difficult to travel abroad or return to your country if you have lost it in another country. 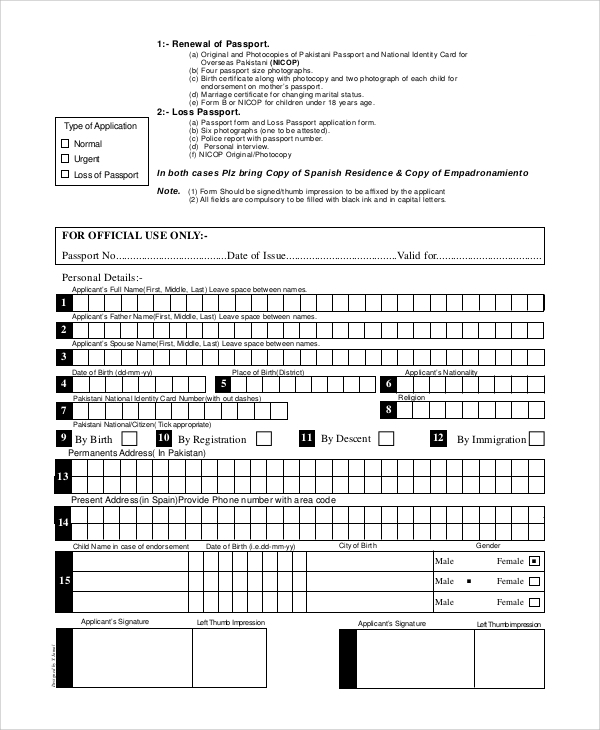 The application becomes authentic when you use a pre-formatted form for the purpose. 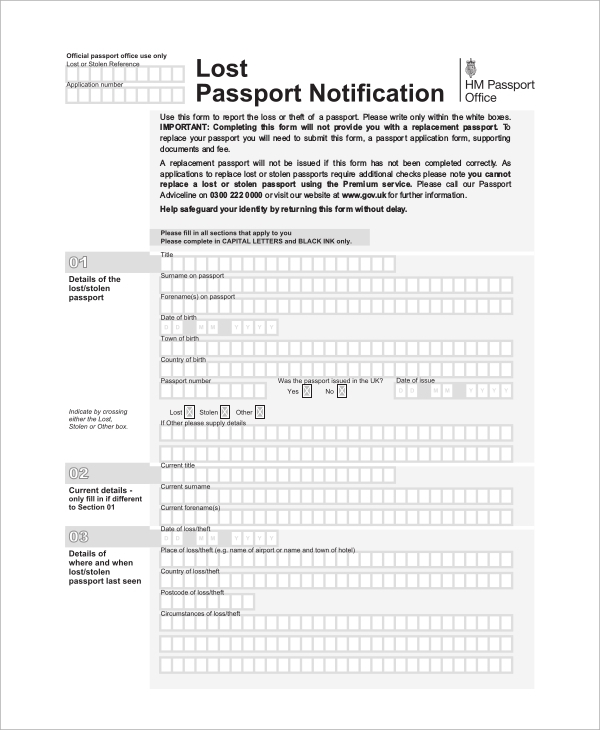 You may need this form to reissue a passport that you have lost. 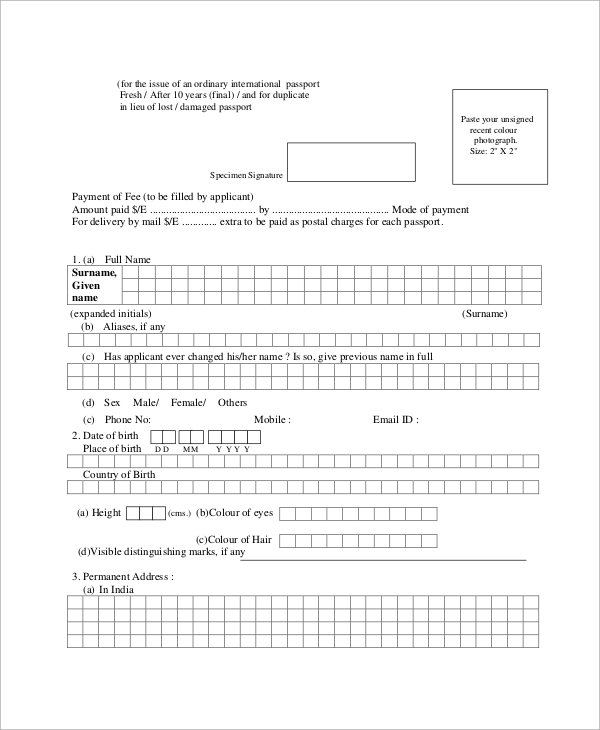 There are boxes in the form that are to be filled up with the related information and the details written on the passport has to be included in the form. 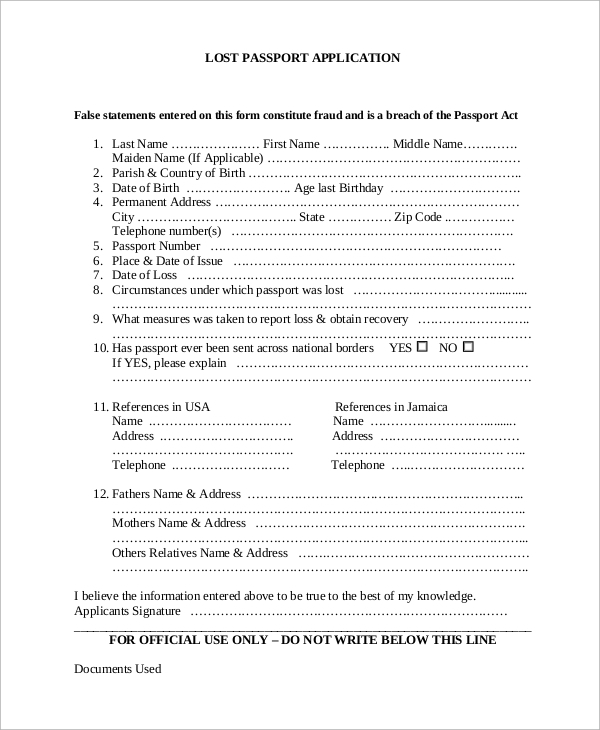 In this form, you need to include the personal information as well as the details on the passport like expiry date, name on the passport and so on. There are some areas to be filled up with relevant information. 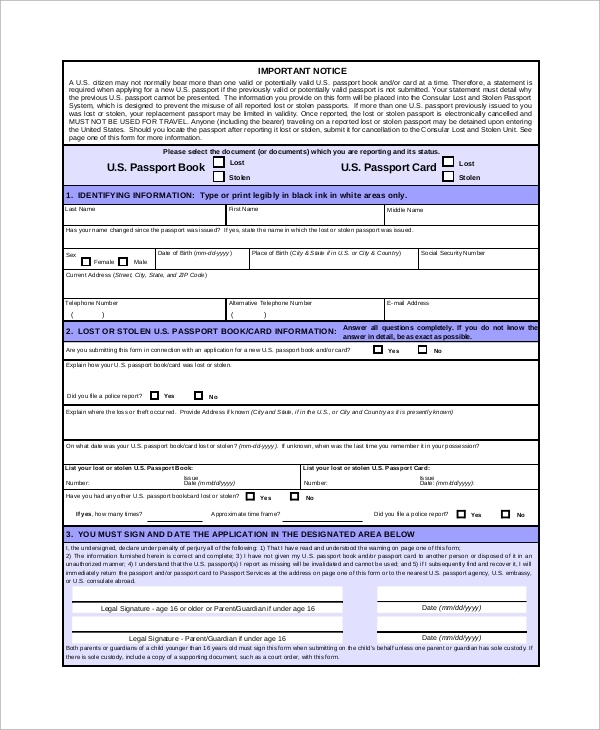 What information is Included in the Lost Passport Forms? 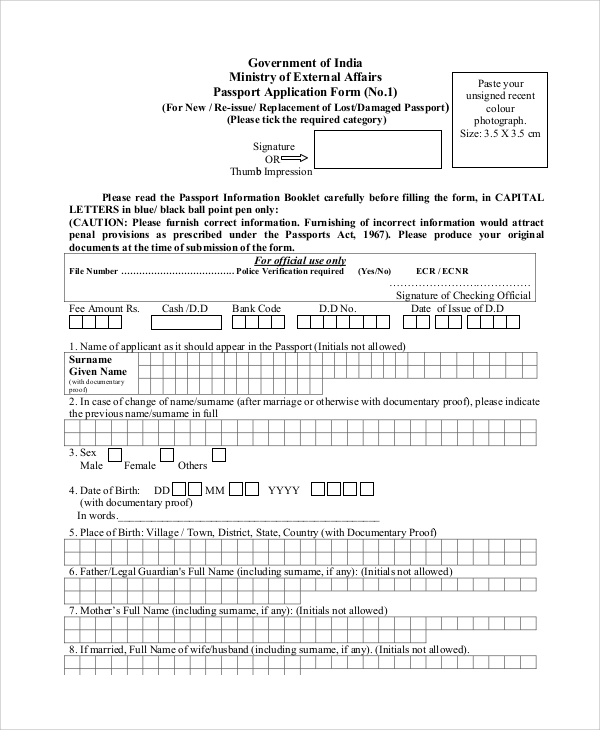 The photograph of an individual has to be attached in the right-hand side corner of the document when the form is filled up. A signature or thumb impression is also required. The personal details, names of parents, address, passport details and other necessary information is included in the document. You need to provide detailed information about the country and place where you had lost it. The pre-formatted document has certain spaces that are to be filed up by the individuals. There are some questions with yes or no answers and sentences that yield the desired information from the person. You can also see the Passport Renewal Forms. In case you need a new passport, you can check out the website and see the Passport Application Forms, along with the given formats. Apart from this, you may also need Passport Renewal Forms and Passport Authorization Letter Samples. All these are there in the portal, and you are free to browse it and check out the format.